How do I manage catalog program requirements? Requirements are the courses that students are required to finish to complete a catalog program. 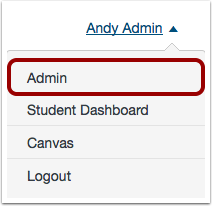 As a Catalog admin, you can view current requirements within a program and add or delete requirements. Each course listing in catalog is independent, even when it is associated with a program listing. Each requirement within the program has its own visibility and enrollment details. Learn how catalog requirements appear in program listings. In the Listings drop-down menu, click the Programs link. Click the name of the program listing. The Requirements page shows all the requirements added as part of the program. You can view the name of the course or program that has been added as a requirement. Each course or program is independent of the program listing. Learn how various visibility and enrollment statuses apply to requirement displays in program listings. By default, requirements are to be completed in the order they are added to the program. To disable this setting, toggle the Student must complete requirements in the order shown below option. The toggle will turn gray. To add a requirement, click the Add Requirement button. To delete a requirement, locate the requirement and click the Delete icon. Previous Topic:How do I view the wait list for a catalog course or program? Next Topic:How do I add a requirement to a catalog program? Table of Contents > Admins - Catalog > How do I manage catalog program requirements?